The transportation of goods across the length and breadth of countries is greatly dependent on road transportation primarily riding on trucks. Similar to every country in the Indian subcontinent, Bangladesh is also dependent on vehicles such as heavy duty and medium duty trucks for transporting bulk materials throughout the country. To ensure the timely delivery of materials, most transport operators manage a fleet of trucks that vary in size. 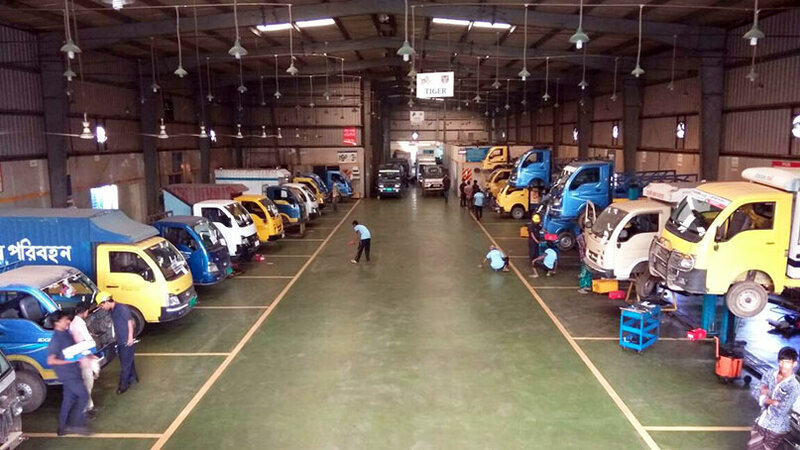 It is imperative for the owners to maintain their vehicles in the best shape as road conditions aren’t always ideal, away from some of the more developed cities of Bangladesh such as Dhaka or Chittagong. Growing a transportation business can only be done if the vehicles and the teams working are in the best condition, and here are some tips that you should keep in mind while running your fleet of trucks. Only hire qualified drivers and technicians: It might be tempting to get as many people onto your team as possible but dealing with heavy duty trucks isn’t as easy as dealing with smaller vehicles. You should only bring in qualified drivers and the same applies to your team of technicians who would be working on any vehicle. This ensures your vehicles are driven carefully while your team of technicians are knowledgeable enough to deal with any problems that crop up. Keep your vehicles in the best condition: Driving large vehicles across varying landscapes is not easy and these machines have to be kept in the best condition to avoid breakdowns. Periodic inspections for each vehicle is a must, which can help you decide what repairs are needed to be done. Maintain logs for drivers and vehicles: Hauling long distances is tough not only on the drivers but also for the vehicles. It is recommended to maintain a log on how long a driver has been on the road as driving while tired can lead to accidents. The same applies to vehicles as they need to be sent for inspections after a certain distance traveled to ensure they do not breakdown. Factors for sending medium duty trucks and heavy duty trucks for an inspection would vary depending on their respective loads, which should be kept in mind. Keep your vehicles clean: The above points will help keep your vehicles in great mechanical shape but you must also keep them clean. This goes not only for the exterior of the truck but also the interior, and the undercarriage which often contains dirt and mud from previous loads.